It's the dart throw at the midway again, but this time it's all about subtraction! 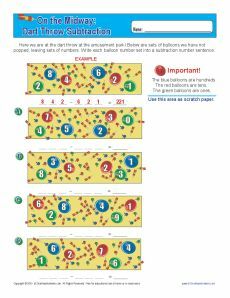 This fun worksheet is great for working with Common Core Standards for 3rd grade Number & Operations in Base Ten. You may also find it helpful for other grades.